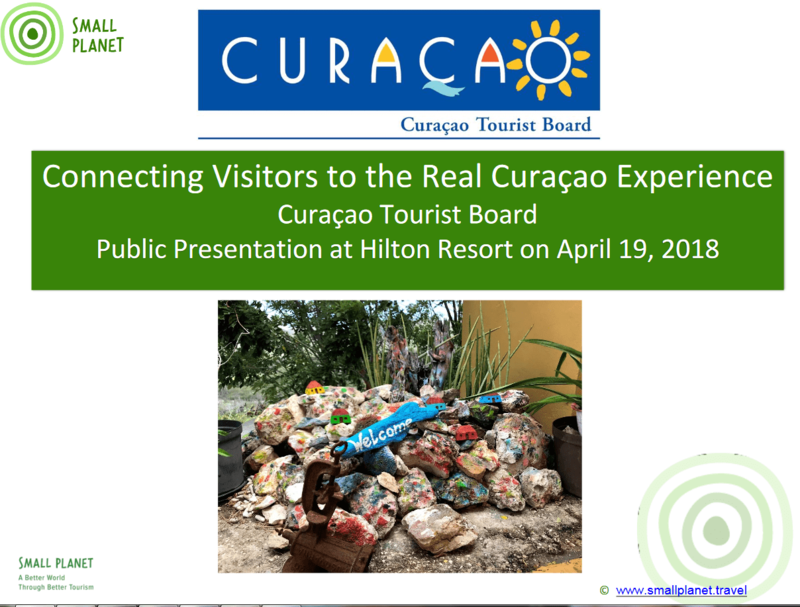 WILLEMSTAD – From April 17 to 19, the Curaçao Tourist Board (CTB) presented a program consisting of two workshops and one public presentation on the topic of Experiential Travel. The program was entitled: “#ExperientialTravel: Connecting Visitors to the Real Curaçao Experience,” and was conducted by Ms. Judy Karwacki, an international tourism expert with over 30 years’ experience in travel, education and management. 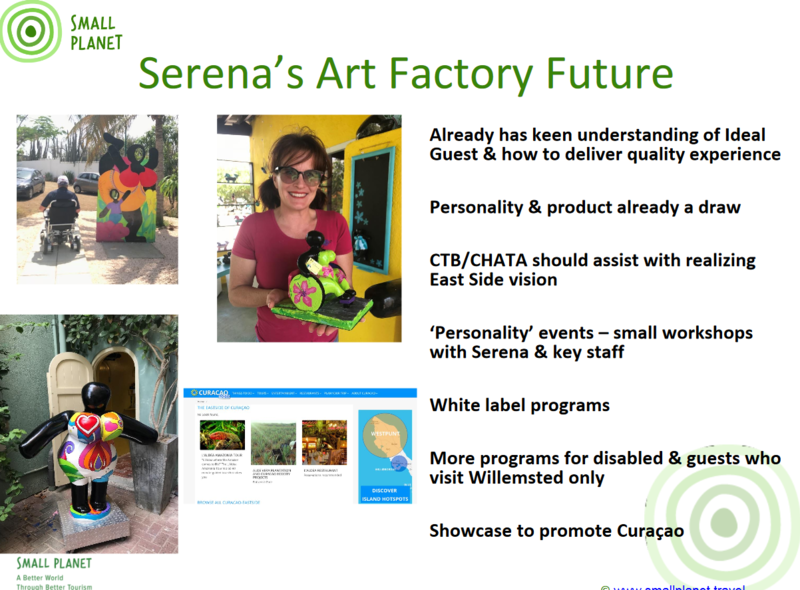 Ms. Karwacki visited #Curaçao for the first time in November of 2016, to coach a number of managers of local attractions and tourism businesses on how to grow their business by elevating the visitor’s experience. This year, Ms. Karwacki will assess 10 tourism businesses with the potential to sell an unforgettable experience to visitors. 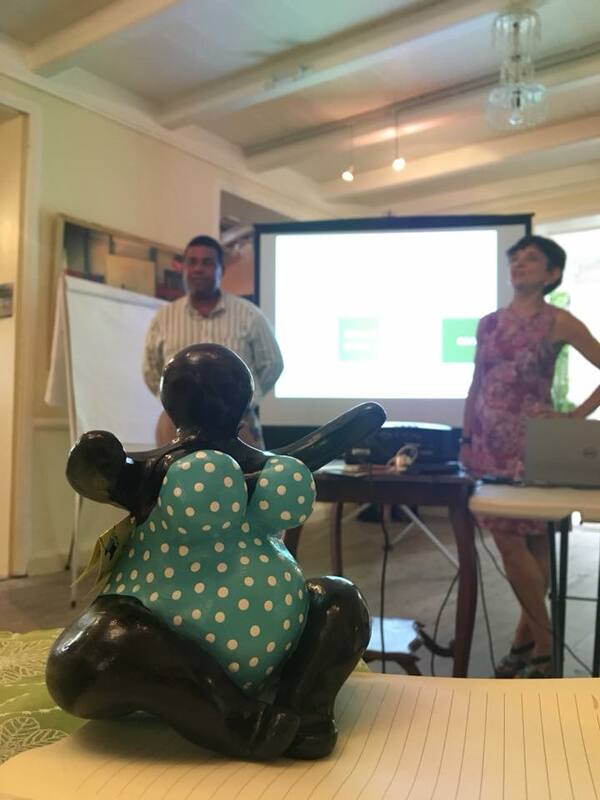 Two workshops aimed at this group, with a number of presentations and interactive sessions, were held at Landhuis Bloemhof on April 17 and 18. The participants also learned how to make an itinerary that is completely aimed at letting tourists experience the product offered, so as to create a memorable experience.